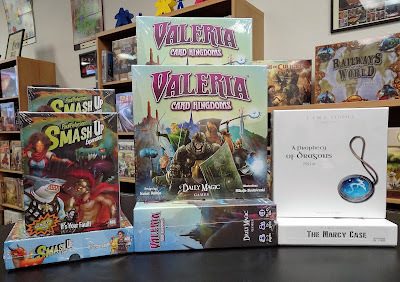 More new games and expansion arrived this week. 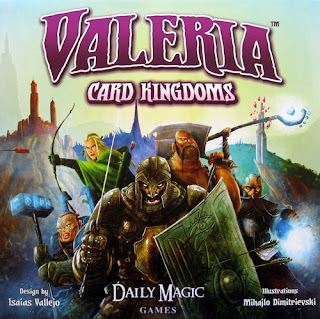 Valeria Card Kingdoms is a fast-paced card and dice game. In this tableau-building game, the cards you buy can work for you on your turn and on all the other player turns, as well. 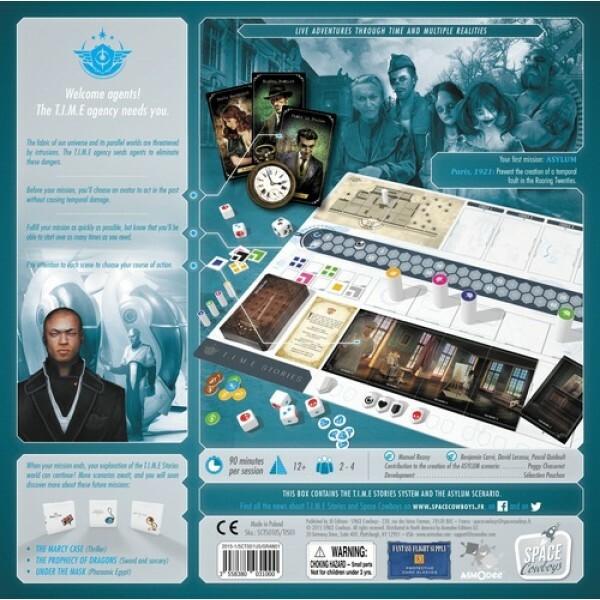 Each turn, roll two dice and activate citizen cards with the result of each individual die and the sum of both dice. All players take resources at this time. The active player then takes 2 actions (slay a monster, recruit a citizen, buy a domain, take a resource). The player with the most victory points at the end, wins the game. 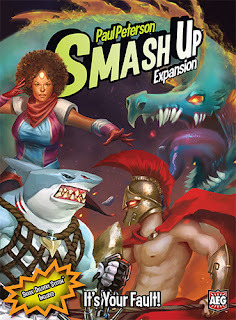 It's Your Fault is the newest expansion to Smash Up, the shuffle-building game of combining 2 factions such as pirate and robots, into a force to be reckoned with. At the start of each game, players take turns drafting one of several faction decks. Each player will will then shuffle their 2 decks together, combining their distinct abilities. Players will play their cards on the various Bases displayed in the center play area in attempt to gain the most power on a Base when it is scored. Sharks - the most perfect killing machines. Dragons - massive monstrosities of legend are here to literally smash bases. Superheroes - defeat your arch-nemesis with super strength, speed, and toughness. 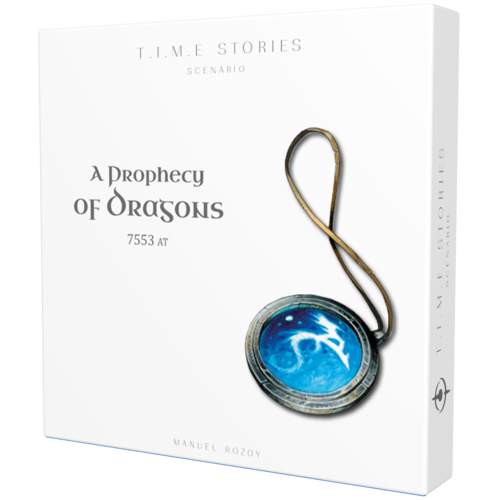 A Prophecy of Dragons is the 2nd scenario to the base game, T.I.M.E. Stories a co-operative narrative board game. Players live adventures in various worlds, through the eyes and characteristics of their character. They have to fight, search, discuss, and be clever and convincing to the characters they meet… and sometimes even the other agents. With A Prophecy of Dragons you'll be transported back to the Middle Ages, but not the Middle Ages that you know. Explore a parallel reality where magic changed everything.